Hashtags have become a popular way for participating in conversations on platforms such as Twitter. 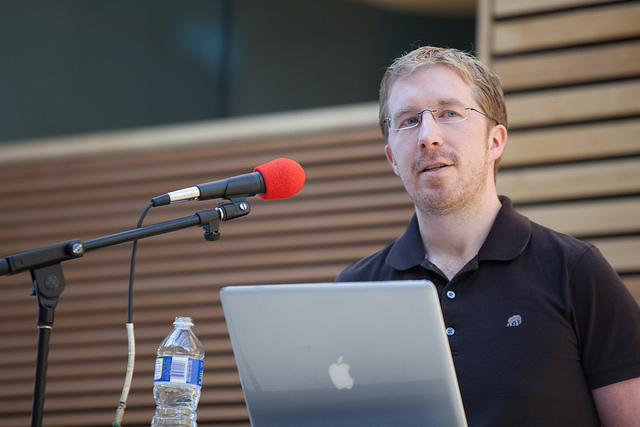 In fact, Google’s own Chris Messina is known for making them popular on the service. In 2007, Messina wrote a post called “Twitter hashtags for emergency coordination and disaster relief” which discussed how adding meta data to a tweet could not only help categorize information, but assist in creating conversation on Twitter. It worked, and now that Messina is at Google, the social product Google+ is adopting features that support the hashtag concept. Today, the company released a feature that auto-completes a hashtag when you put # in front of something and start typing. This is an extremely helpful way to make sure that you’re spelling things correctly and including the correct trend. There’s nothing worse than trying to discuss a topic and using the wrong hashtag. From current events (#SOPA) to the arts (#MonochromeMonday and all those photo tags ), +#hashtags are a great way to build communities around content on Google+. We want to make it even easier to use and discover hashtags, so today we’re rolling out a new auto-complete feature. Now when you start typing a hashtag in a post or comment, Google+ will present a list of hashtags you might be looking for. Less hashing, more tagging, that’s what we say! Give it a try, and let us know what you think! Hashtags have become a huge part of the Internet vernacular, being shown on TV shows and used for promotions on anything from American Idol to the evening news. The adoption of hashtags on Google+ means that the company hopes to structure data in a way that makes it more useful for social users, and not relying on its previous approach to straight up searches. The feature helps you participate, and when you participate with a hashtag you’re introduced to a whole new audience who are searching for all posts using it.